Tyson Barrie COULD become available with the promotions of Makar and Conor Timmins and should Sakic opt to take, with the 4th pick (Ottawa’s), highly-rated 6′ 1″ 192 lb D Bowen Byram of Vancouver of the WHL. agreed avsattack , Barrie has impressed me the few times I have seen him play this year. The other D man who is underrated IMO is Girard , he s going to be a top 4 for a long time to come. Yeah, let that sink in for a minute….Brendan Smith…..
Point being, they’re a prospect, until they’re not a prospect. There is no exact science here. The issue with the Aves trading Barrie is that he is only one of 2 RD on the Aves roster. They do have 1 RD prospects, but you can’t expect a 21 year old to come in and replace Barrie. Just pointing out the Hurricanes have 4 RDs on the roster, one on the edge of the NHL (McKeown), and a 6th (Fox) potentially on the way that they can’t seem to figure out what to with. Is there a deal to be had with the Avs? For what? Little point in adding Barrie to the mix in Carolina. Not sure what Sakic would make available from his roster and prospects among other positions. Guess it depends on which RD Carolina is offering. I can’t see in any way the Oilers trading Nurse. 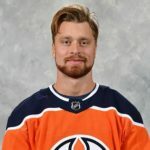 He is to valuable to the Oilers future. I also have a hard time seeing the Oilers trade any piece of their defence. They don’t have the depth to be trading from that position. If they trade Lasson plus for a top 6 forward they will most likely be bring in more salary. Then they are supposed to go out and get Berrie?! How can the afford all of that under the salary cap?! agreed but he’ll get bigger and better with age. Very good skater, see’s the ice well and makes a nice first pass. Is there any truth to the Canucks interested to have both Hughes? If so I’d deem Pettersson and Boeser untouchables obviously… does not leave much to offer with the #10 pick so it would be a Vancouver pipe dream. I think it would take Pettersson or Boeser + to get Hughes. Pettersson already showed what he can do in the NHL. Would you swap him for the #1 pick to take Hughes? Chrisms: No one is denying the talent of the high end players in the USHL. However, the depth of talent in the CHL is much higher overall. I stand by what I said – if you take the top team in the USHL – not an all-star team – and put them up against almost any team in Major Junior they’d get blown out. The USHL is made up of these 16 teams: Des Moines Buccaneers; Cedar Rapids RoughRiders; Fargo Force; Central Illinois Flying Aces; Lincoln Stars; Chicago Steel; Omaha Lancers; Dubuque Fighting Saints; Sioux City Musketeers; Green Bay Gamblers; Sioux Falls Stampede; Madison Capitols; Tri-City Storm; Muskegon Lumberjacks; Waterloo Black Hawks; Youngstown Phantoms. Assuming a roster size of 21 – that’s roughly 336 players involved in any one season. The best among those those teams go to Team U.S.A. along with, of course, the best Americans playing in the Canadian Major Junior leagues. One reason why many opt to stay in the USHL, rather than go to the Canadian Major Junior league, is that once they play 1 game in those Canadian leagues, any chance of going to a U.S. University goes out the window since they look upon the Canadian leagues as “pro” – and they don’t want to sully their self-assumed purity. As I say, overall there a lot more pros coming out of the Major Junior leagues than the USHL, which collectively as a league is about on a par with the second tier of junior leagues in Canada, such as the Central Junior League. Not at all. Sure the sheet size of the chl makes putting out more talent and thus having more talent to pull from. But the nhl talent coming out of the ushl is up there in star power. Which is crazy considering how relativyyoung it is. Hell George your own brady from there. Again 4 outta top 7 skaters from na projected teams n the next draft from there. I’ll concede that the chl is a larger market with more talent pull. But when it comes to drafting young nhl stars the ushl is coming on fast… even overtaking them potentially in to tier draft picks. When is the last time a second tier Canadian league produced top tier draft talent as the ushl George? You will notice I said “overall” – as a league. Take any one team from the USHL and put them p against any one team in Major Junior, or the top teams in Tier II junior and I’d bet every time on the Major Junior/Tier II teams. I’m not denying there is high-end talent in that league – but it’s spread out over 16 teams and some 336 players, and when that talent comes together with Team U.S.A. they are always augmented by the best American players in Major Junior and in College. There is NO way they could put together a Team U.S.A. using only USHL talent. As for Tier II Juniors, many of the best there remain there for the same reason they do in the USHL – 1 game in Major Junior and out go any chances of a U.S. scholarship. A fair number of Tier II go on to play at U.S. universities and, through that program, into the NHL. And Tkachuk did have the benefit of one year at Boston in college. I wouldn’t ever pay a dime to watch chl or college or ushl hockey. 1) call Ed re 8th over-all …. Lucic , if he was to waive; you would figure would waive to go home…. Ed’s 8th plus taking on Lucic for Van’s 2nd and a prospect…. Ed moves up 30 spots but moves $6M in what many in Oil country already deem dead cap space ; can now move on UFAs with the room created AND get a prospect. Hughes and NJ’s 2nd ‘19 round pick?? The Net effect for Van …. call the NJ 2nd in for Van’s 2nd out (34th overall for 40th overall) basically a saw off…. @Pengy GMJB will call NJD and Rangers for sure. NYR GM is high on KK….he wants him over Hughes. From the way he talks about each player, I believe, he values KK over Hughes. I dont see any chance of EP and a first in a return for Hughes. Even Horvat is questionable, with all the talk of underrated players, he certainly is one. IMO, the Canucks would be further ahead with Horvat and one of Boldy, Zegras, Caufield, Broberg or Soderstrom with the 10th pick than Just Hughes. They only have 3 legit top 6 forwards and their D is a work in progress so trading the 1st and Horvat would leave them still with only 3 top 6 forwards and no improvement on D.
I agree. They have prospects that are probably ready to help out in the bottom 6 right now. With the 8th pick this year and Yamamoto the potencial is there for 2 top 6 forwards that they are needing in 2 to 3 years. Along with Bear, Jones, and Bouchard the pieces are there for them to build their contender, and all brought in are on the ELC for cheap. Puljujärvi is still a building piece, but don’t really know where he will fit in. Perhaps he could also be part of fixing the bottom 6. I think Benson has a chance to play in the top 6 as well Kevjam. May even get a shot next year. Smart player that could play with either C.
Don’t know how many of you (if any considering the limited coverage) saw the triple-OT game between the Ottawa 67s and Sudbury Wolves which Ottawa won 3-2 to complete a 4 game sweep (after sweeping Hamilton 4 zip) to advance in the OHL championships, leading to the Memorial Cup in Halifax. It was a dandy.